In a conversational and accessible voice, Tom Wright opens up the often confusing and metaphorical book of Revelations in this 'For Everyone' study. Writing in an accessible and anecdotal style, Tom Wright helps us to negotiate the final book of the Bible, regarded by many as the hardest to understand. He encourages us to see how the Revelation of John offers one of the clearest, sharpest visions of God's ultimate purpose for the whole of creation: the overthrow of evil and the victory of God. In a world that often seems filled with violence, hatred and suspicion, John's glorious images of the end of days are a clarion call to all Christians to be tireless, faithful witnesses to God's love. Tom Wright has completed a tremendous task: to provide comprehensive guides to all the books of the New Testament, and to furnish them with his own fresh translation of the entire text. 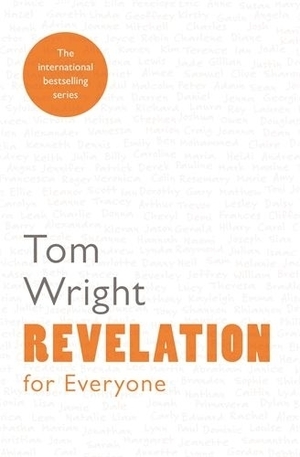 Revelation for Everyone by Tom Wright was published by SPCK Publishing in April 2014 and is our 1583rd best seller. The ISBN for Revelation for Everyone is 9780281072019. Be the first to review Revelation for Everyone! Got a question? No problem! Just click here to ask us about Revelation for Everyone.